Posted March 25th, 2019 by alexa & filed under Portraits. 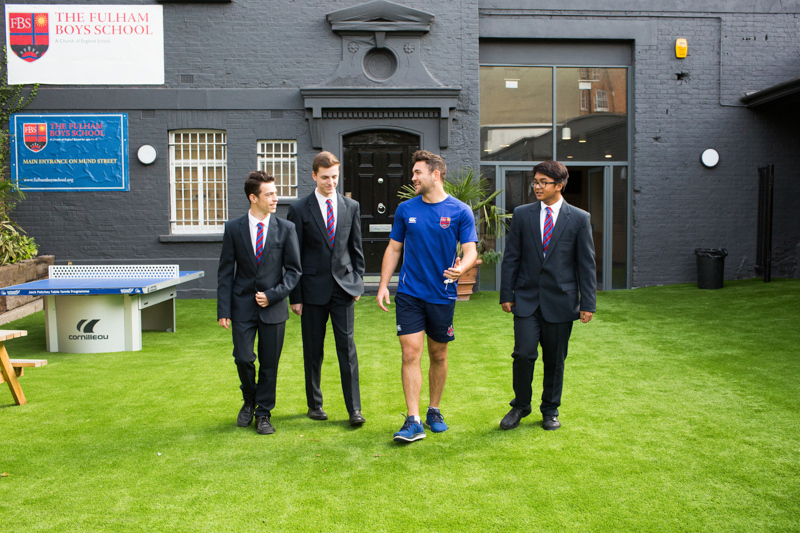 I’ve been photographing at Fulham Boys School since it first opened in 2014. I do many London schools photography sessions all over the city, but always enjoy returning to this wonderful school in South West London. When the school first opened I took many photos for their website. I also take fresh images each year for their new prospectus. I cover some of the other school events too, such as sports days and football matches. These are always such good fun to photograph! 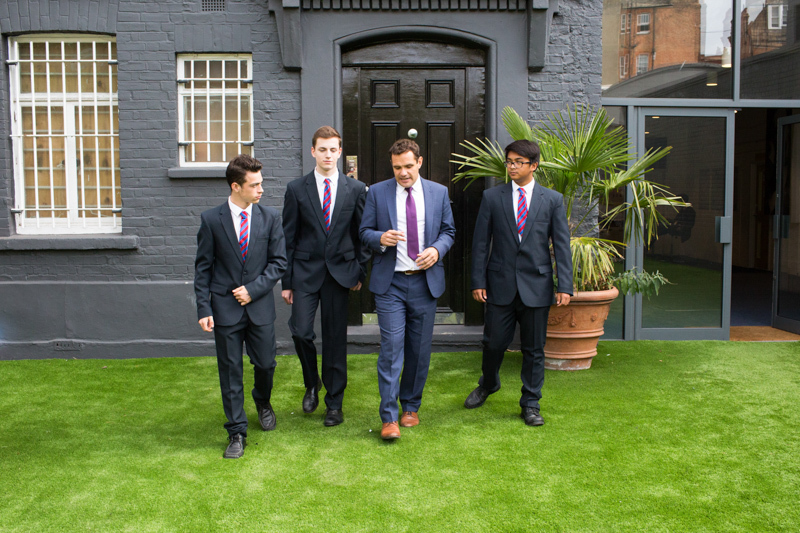 I was invited back recently to take a series of new school photographs for the opening of their sixth form in September of this year. It’s such an incredibly exciting time for the school and I was thrilled to be able to get some images that they can use in a special sixth form prospectus. 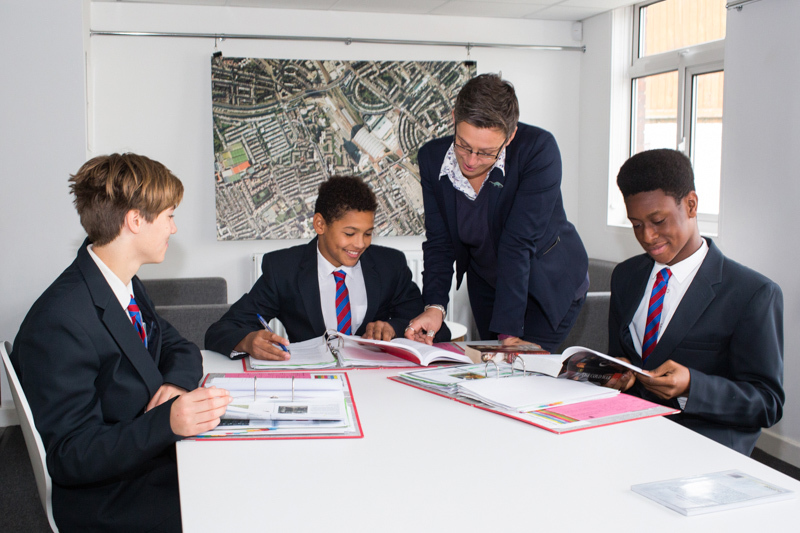 We started with some photos of three of the boys going through their work with a teacher. I’ve got to know the school and a lot of the pupils quite well over the years and I’m always impressed with the atmosphere in the school. Considering that there are around 600 boys there now it seems amazingly calm. The boys are polite and well-mannered and an absolute pleasure to photograph. 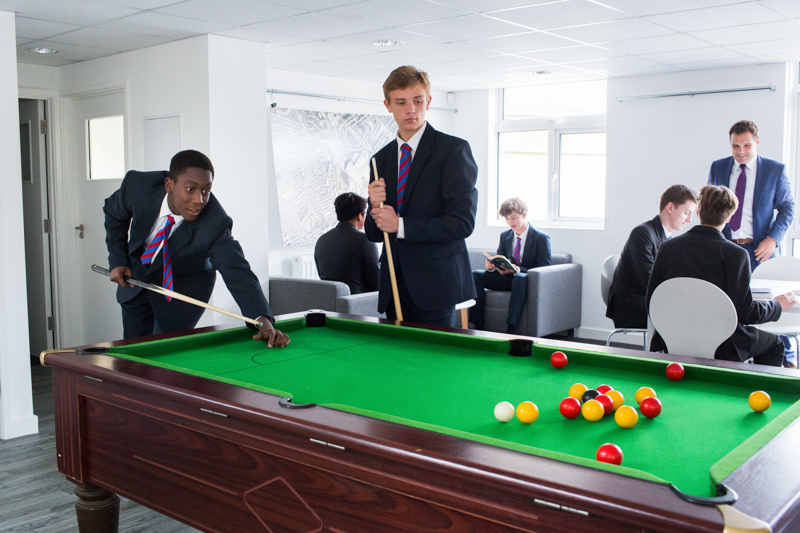 The boys were pretty excited about the pool table in their sixth form. So we just had to get some photos of them having a game. 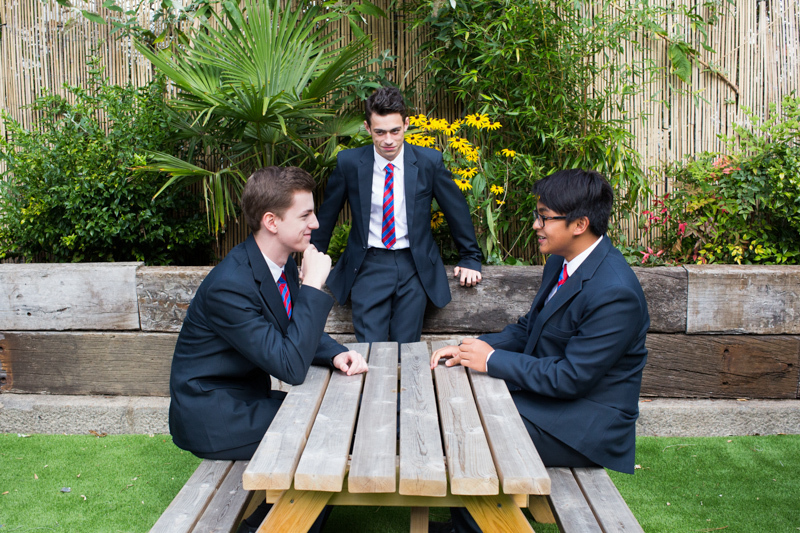 Then we went out into the lovely garden and got some candid shots of the pupils chatting with each other and a couple of their teachers. 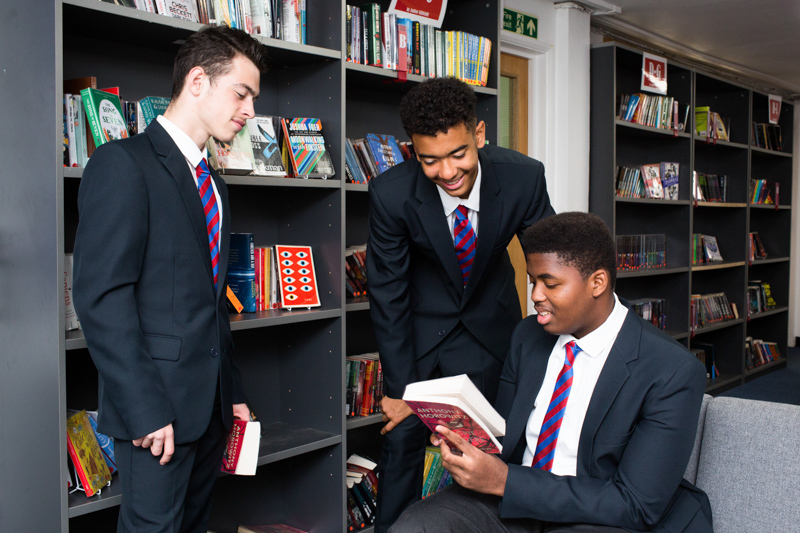 Finally, we took some natural portraits of a few of the boys in the library. 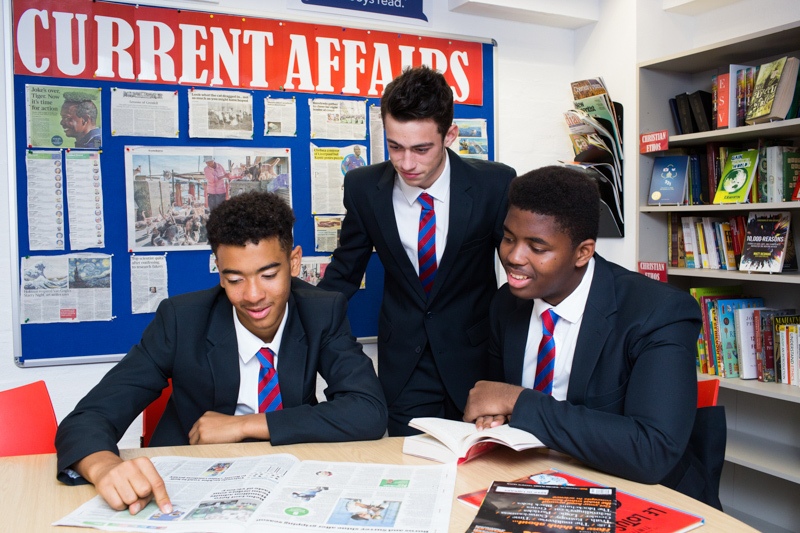 There were enjoying themselves reading books and keeping up with current events in the newspapers. I enjoyed this London schools photography session so much and I can’t wait for my next visit to the school. I really look forward to seeing the opening of the sixth form too. I’m sure it will be a huge success, such as the rest of the school is.